An Amazing outting for New Yorks “favorite” wallcrawler. Marvel’s Spider-Man is the latest Spider-Man focused game that creates its own story rather than being focused on a single one. Taking some cues but ultimately creating its own path. As referenced earlier, the story as a whole is largely original to this game alone. Essentially being the Arkham series for Spider-Man. You start out the game already 8 years into your career and finally taking down the Kingpin once and for all. Making him the sixth big name criminal apprehended and sent to the Raft after Shocker, Electro, Scorpion, Rhino, and Vulture. Unfortunately, nature abhors a vacuum, and a new player (Mister Negative) tries to fill the void left by Kingpin. You work over the course of the game to take him down as well as the newly formed Sinister Six Insomniac was oh so proud to show off in all the early press material (albeit leaving their leader a mystery). A LOT goes on in the story besides just Peter saving the day. 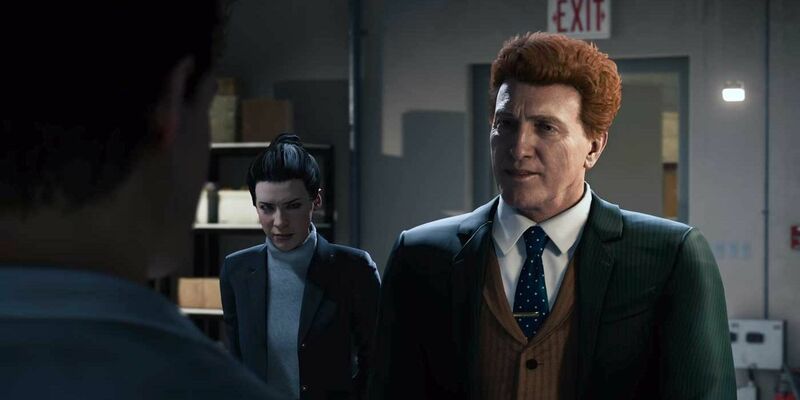 There’s Peter working at Octavius Industries to make a new top of the line prosthesis with his mentor Dr. Otto Octavius, his relationship with Mary Jane Watson as well as his new associate Miles Morales, and the ever-looming shadow of Oscorp. 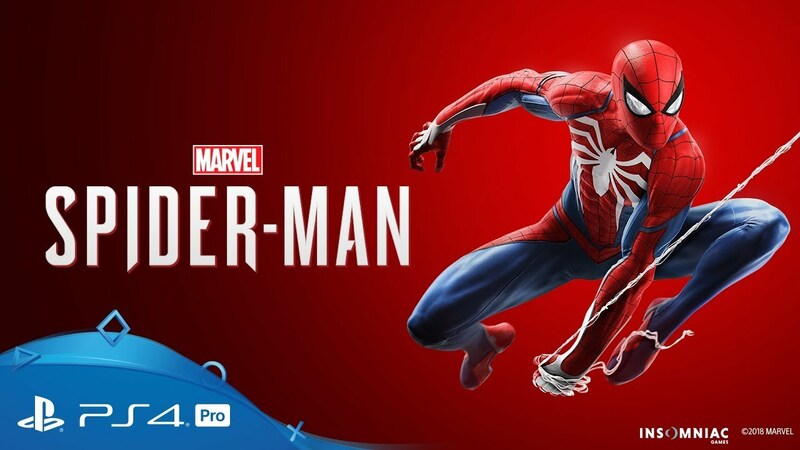 The story is told through in-game cutscenes, in-game dialogue, and cellphone conversations with numerous characters while you’re actively Spider-Manning. But it isn’t just focused on Peters point-of-view both in and out of costume. It also shifts focus to MJ (usually through flashbacks) and Miles at various points. 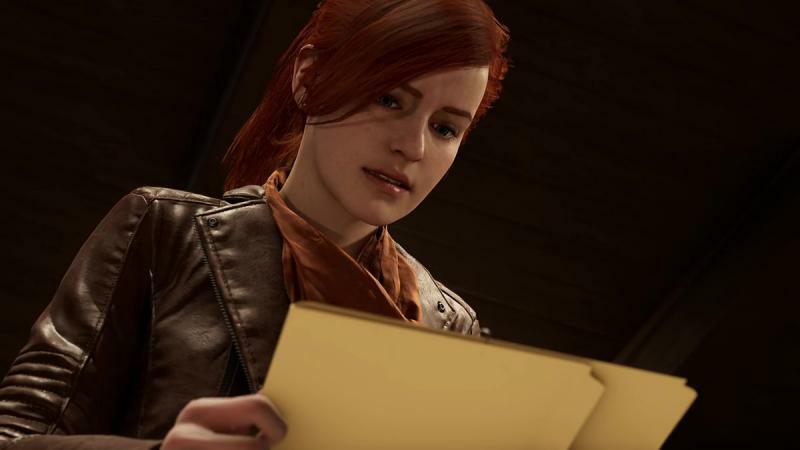 It makes sense to not just toss in tons of non-Spider characters in your first Spider-Man game but it is a bit noticeable if you know the universe in a general sense. But for the characters that appear, they’re all great and perform well. Nobody felt unnecessary to the plot or like showing them took away from the experience. Every piece of the puzzle fits and if you go on the quest to 100% the game you’ll get even more out of it. Unfortunately, the first of three DLC isn’t out yet so I can’t comment on their quality. But I do like how the first is set up in-game so it’s not just an awkward segway. Coming to a PSN near you! The gameplay is awesome…mostly…When you play as Spider-Man it’s awesome. It plays a lot like an Arkham Game with you punching and kicking the hell out of anyone within range. Being able to jump seamlessly between them, slide under legs, or dodge with your Spider-Sense warning you for a quick counter-attack. You get a number of gadgets and as you purchase suits, you unlock Suit Powers that have a variety of effects (A single strong attack, a continuous buff, distraction, summoning a drone, and so on). Suit Powers are an interesting mechanic and you can switch them from the pause menu easily as you need. You also get three buffs or other passive effects you can use to create your own personal build. The gadgets, while good in principle, aren’t so great…Some are used for puzzles and have interesting effects like lifting them into the air, instantly webbing and pushing them back, or just pushing them back. Unfortunately, as you progress through the game they become less and less useful. Especially the web-centric ones as more enemies that are immune to webs begin to spring up. It isn’t hard to switch in the heat of battle but it feels like it slows me down horribly and most of the time I found myself not using them. The times I did it didn’t work out so hot (like using the Trip Mine on a person and having it not trigger for several seconds because the laser doesn’t auto track to the nearest surface or enemy). Against standard grunts they can be fun and useful but most fights you can get through with just your standard webbing, suit powers, and brute force. As referenced earlier, some enemies are immune to webbing. One thing you’ll find out as the game goes is the various types of enemies each require their own way of being taken down (or in a few cases it just makes it way easier). On top of this, they’ll be throwing tons of various types at once and the difficulty will spike drastically. You may be Spider-Man but these intense moments are both fun and intense in a good way even if you die. It just makes you want to try harder the next time. Stealth returns once more after Shattered Dimensions brought it to the forefront with Noir Spider-Man. Though this time you aren’t nearly as squishy and can handle yourself in combat (usually). Most situations you come across can be sorted out with stealth if you play your cards right or at the very least will make it an option. Only a few sections with Spider-Man (outside of specific side quests) make it a requirement. Spider-Mans version of Detective Mode is an AOE scan that goes over a certain range in a full 360 degrees. Highlighting enemies while in stealth and telling you if its Safe to take them down or will force you into full-on combat. A useful addition if you want to do as much stealth as possible. Then you get to the MJ and Miles sections that are exclusively Stealth and they are…just not fun. From a story perspective it makes sense why you have to use them but after playing as Spider-Man it just isn’t fun. When I knew I’d have to change characters I went out of my way to make sure I put it off as long as possible. That should not be the response you have. The Peter sections, which usually involves one of two science puzzles, were more interesting than these. As you progress through the game you can unlock a number of classic and fairly new costumes for Spider-Man to use. As referenced earlier, many of these come with unique Suit Powers which you can then transfer to any suit of your choice for use. These suits do appear in cutscenes when your costume is in use (besides the few times you’re forced to appear in the Advanced Suit). Depending on the suit you use the eyes will be expressive. Sadly this doesn’t count for all suits, even ones like Scarlet Spider where you’d expect it to work. But they’re still awesome to see especially when you see how many of them got visual updates to make them somewhat more in line with the art style of the game. Scarlet Spider, in particular, is one of the most notable upgrades. Sadly, as a whole, they are somewhat lacking. Quite a few of them are just variations of the Spider-Armor. Yet classic picks like the Silver Iron Spider Suit, Comic Civil War Iron Spider Suit, Future Foundation, Kaine Scarlet Spider Costume, Symbiote, Superior, and Ultimate Suits don’t make the cut (although the latter three you can explain as being saved for sequels). It’s a very Armor and MCU heavy set of costumes this time around. We know the three DLC story expansions are adding more costumes so it’s very likely this will be fixed. Though out the gate it’s not the best offering for alternate Spider-Man costumes. From the pause menu, you can also access Photo Mode. The glorious mode that lets you take tons of screenshots both in-game and during cutscenes. But since you can only do it from the Pause Menu it can get a bit awkward at times to catch moments when they happen. Compared to say Infamous Second Son or Skyforge where the L3 or R3 are used. Given that both are used in-game for Spider-Man it makes sense you can’t do it this way. But a quicker and easier method would’ve been nice. Navigation throughout the city is the most fun part. Allowing you to swing, launch yourself off objects, web zip, run up or along walls, use webs to quickly switch sides of a building surface, or parkour off cars. There are tons of ways to maintain your momentum and get around New York. Even the quick travel utilizes the subway system and has several special scenes you can see with Spider-Man taking the train. It’s a nice little touch if you don’t want to swing around. Punching while not in combat instead will give you a greeting you can do to passing by civilians. Some civilians will even trigger a special greeting you can get XP for. By far the best moments are the boss fights. All are enjoyable and unique in how you handle them. Forcing you to think rather than just mash the hit button. Sadly, there aren’t many of them so you’ll spend most of your time taking down grunts over and over and over again in different combinations. While it is fun to do that, with how many rogues Spidey has at his disposal it feels like a waste to fight them so few times. Thankfully only 1½ of the boss fights weren’t that great. Even then it’s just a brief portion of these fights that are bad. The music is very orchestral and cinematic which fits the game. Giving you Sam Raimi vibes as you swing around the city. With how many different mediums the game draws from it’s very likely this was intentional. When you’re walking around the music is quiet or non-existent but the second you swing it will ramp up to match you. The visuals are polished and look great even without a PS4 Pro. The level of detail done to the characters are stunning. Each suit you can tell what the material is and the lighting during different times of day or weather further show how much effort they put into making everything look just right. Although the expressions can be a bit odd at times and while they did model the inside of all buildings you swing by, they tend to be bland and lifeless. Just enough to give the impression of life while you swing by but not enough to stand up to an investigation. NPCs will also repeat at times which is to be expected in an open world game. Overall the game is a great and must have experience. Hopefully, the DLC follows suit in being a spectacular experience.